Endodontic therapy is the proper name for what is commonly referred to as a root canal. The root canal is actually the naturally occurring canal that runs through the roots of each tooth, leading to a pulp chamber. These canals can become infected by microbials that eat away at your teeth. When this happens, endodontic therapy is used to clear out the infection with tiny files that scrape the infected tissue away. 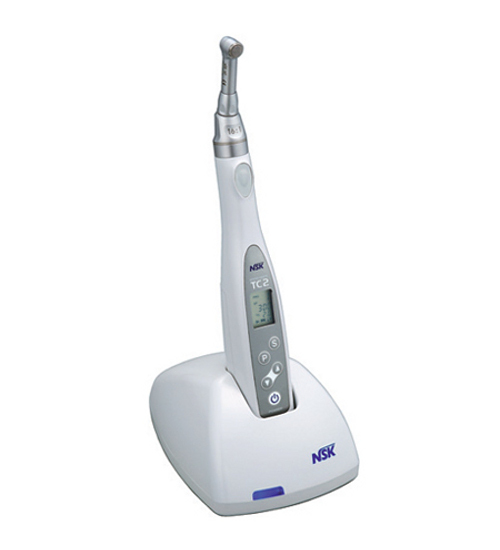 Rotary endodontics is a new method of endodontic therapy that utilizes an electric handpiece instead of manual files. Because rotary endodontics uses an electric instrument, there is no associated drilling noise and the procedure can be finished much more quickly. There is quite the stigma surrounding “root canal” procedures, but with rotary endodontics, you need not fear anymore. Various sedation options and local anesthetics combined with the cordless handpiece used in rotary endodontics make root canal procedures a virtually pain-free and quite low-stress experience. For many people, the most unpleasant part of the root canal procedure is the sound of your tooth being drilled into. With rotary endodontics, that unpleasant noise is a thing of the past. Now you can relax comfortably while the dentist does his or her work with an electric handpiece that doesn’t generate any unpleasant sounds.